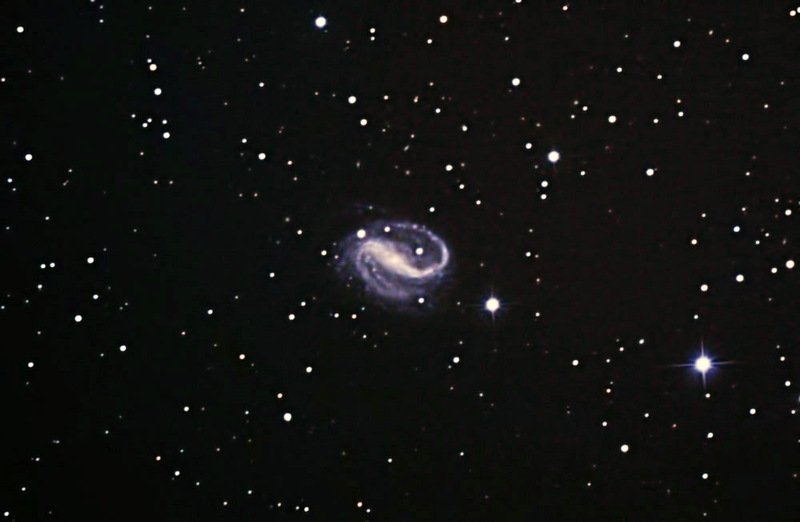 NGC 7479 is a distinctive barred spiral galaxy that is approximately 105 light years away in the constellation of Pegasus. It is relatively small (4.0 x 3.1 arcmin.) and shines at magnitude 10.9. It was discovered in 1784 by William Hershel. It is undergoing much star formation in its outer arms. Notes: Images were focused using Live View. The subframes were redcuced, aligned, and combined in ImagesPlus. The final image was adjusted and cropped in Photoshop.